The maker of Truvada enjoyed profit in the billions from sales of the only drug approved for HIV prevention, or pre-exposure prophylaxis (PrEP), in the U.S.
A report in The Washington Post details that the federal government issued $50 million in grants to researchers developing PrEP. The government patented the use of Truvada, which had been used in HIV treatment previously, for PrEP in 2015. But Gilead Sciences, the maker of Truvada, to date has reaped all of the profits, earning $3 billion from sales of the drug just last year. The Food and Drug Administration in June approved a generic version of Truvada, which will be produced by Tuva Pharmacuetical Industries in Pennsylvania. But an alternative has yet to hit the market. Gilead also said it has found success with its own improvement on Truvada, Descovy. Gilead has made a fortune off Truvada largely because PrEP provides a new use for an old drug already developed by the pharma giant, according to the Post. The government failed to reach a royalties agreement with the company despite its PrEP patent, and Gilead has argued the patents on the prevention method are invalid. Thomas Folk, the U.S. Centers for Disease Control and Prevention researcher who first developed a PrEP strategy successful in monkeys, has since retired and criticized the government and drug company for failing to reach any agreements. “With the amount of effort and time and taxpayer money that went into it, for CDC and Gilead not to come to an agreement, so the taxpayer could get some of that money, is really unconscionable," he told the Post. Gilead right now charges about $1,800 a month for Truvada PrEP. 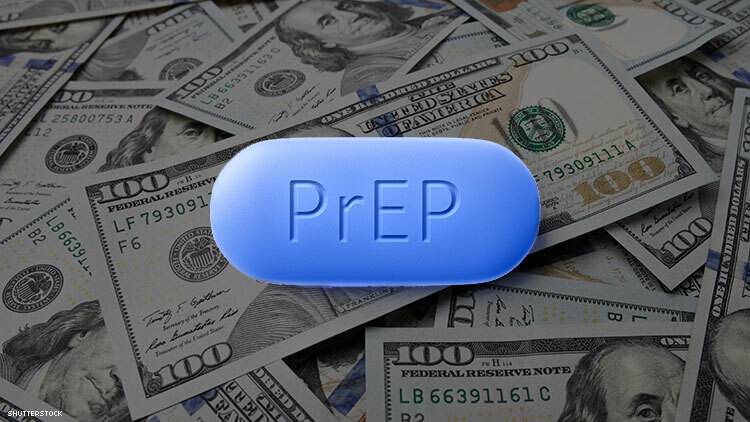 Federal officials suggest that price has slowed the use of PrEP, which has shown to be highly effective in preventing HIV. The CDC estimates the U.S. continues to see about 40,000 new infections per year.